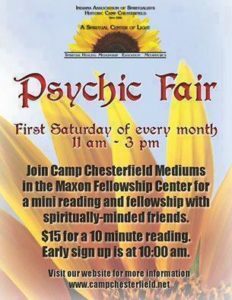 Join Camp Chesterfield Mediums in the Maxon Fellowship Center for a mini-reading and fellowship with spiritually-minded friends. Early signup is at 10 am. 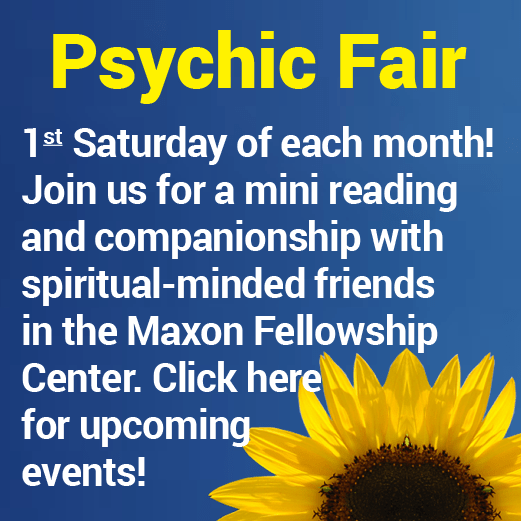 $15 for 10 minute readings.